Are you opting for a real Christmas tree this year? It’s hard to beat the impact of a real tree laden with all your treasured family decorations – even if those decorations are all in one small area thanks to the kids’ creative efforts! 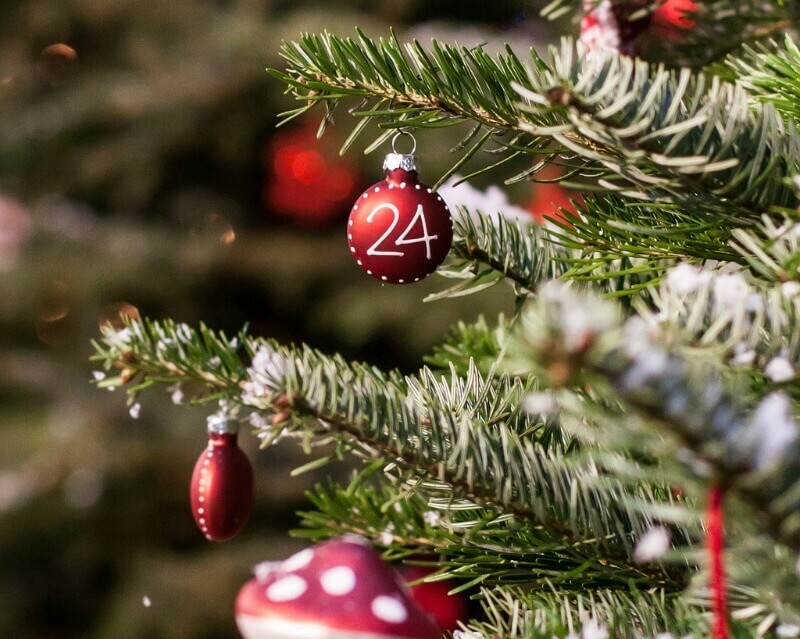 A real Christmas tree isn’t a cheap option, so naturally we all want to choose a really good one – but it can be quite bewildering knowing what to look out for and what to avoid when you make your choice. 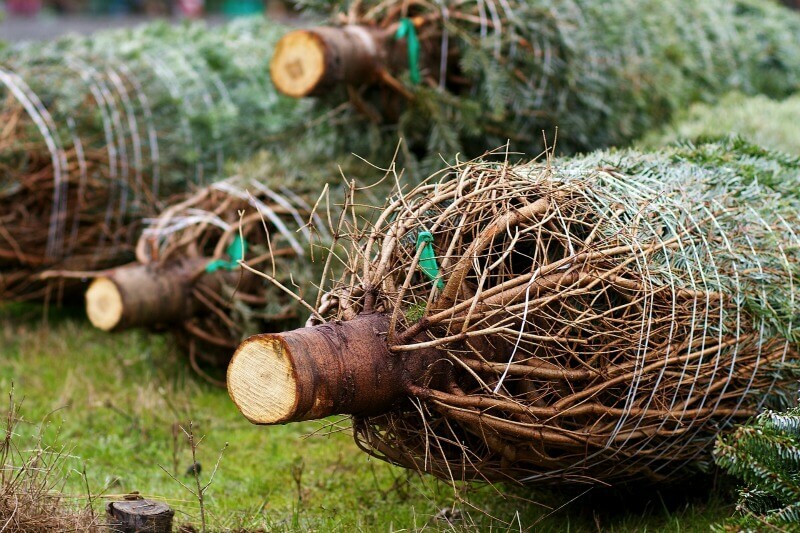 Here are some tips on how to pick a really good Christmas tree. This is the part we often forget about, but it’s really important. Measure the space where your tree will go before you head out, and take your tape measure with you. This will mean you choose the right size tree and avoid having to chop the top off when you get home – we’ve been there and it’s so annoying! And don’t forget to include the height of your tree stand when measuring. The main aim here is to pick a tree that has been cut down as recently as possible. It’s the same principle as cut flowers; the fresher the tree, the longer it will look good for. Look at the needles; they should be flexible and shiny, with no brown, brittle or withered ones. Give the branches a shake; if lots of needles fall off the tree isn’t fresh. Look also at the branches; are they strong enough to support lights and decorations? Are they fairly evenly spaced? Finally, check that the colour is nice and rich and the tree has a good scent – both good indicators of a healthy tree. And don’t forget to check your measurements! There are lots of different tree varieties to choose from, some pricier than others. Here’s a quick guide to the most popular varieties available. Nordmann Fir – a very popular choice, Nordmann Firs have soft, rich green needles and strong branches, making them easy to decorate. They also hold their needles well. Blue Spruce – as the name suggests, the foliage has a blue-grey tint which gives it a more unique impact when decorated. The branches are strong and needle retention is good, Blue Spruces also have a lovely rich scent. Fraser Fir – with dense foliage and strong branches, Fraser Firs tends to be less wide and so they suit smaller spaces. You may see this variety sold with cones still attached. 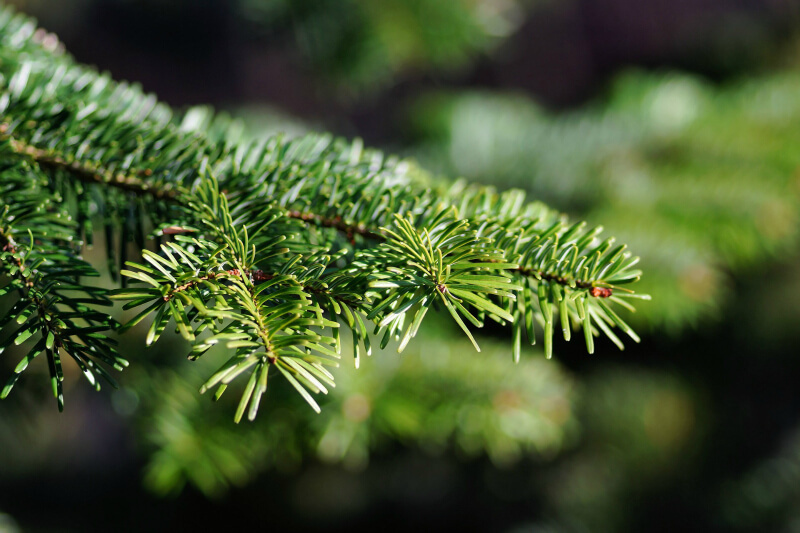 Noble Fir – this is a neat, compact option with soft blue-green needles and a lovely scent. Norway Spruce – a traditional triangle shape with strong branches make Norway Spruces easy to decorate, but their needles can be quite sharp and are more likely to drop than other varieties. Scots Pine – if it’s pine scent you’re after, this is the one to go for. Scots Pines have strong branches and excellent needle retention too. Once you’ve chosen your perfect tree and brought it home, there are a few things you can do to make sure it looks it’s best all through the Christmas season. If you can, saw about an inch off the base of the trunk; this makes a fresh cut to the wood which will improve water absorption and keep the tree fresher. Choose a tree stand that holds water, this makes such a difference to how long your tree will retain needles and look good. If possible, avoid positioning your tree next to a radiator or other heat source. Trim off any lower branches that are too big or unbalanced, you can use these to decorate mantlepieces or in wreaths. Christmas trees are low-maintenance once you have them installed and decorated, but you absolutely must keep them well-watered if you want them to look good all through the festive season. 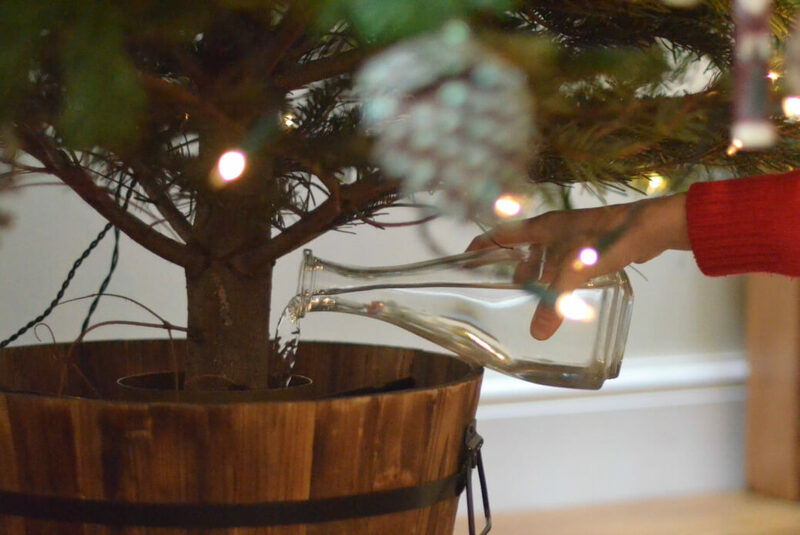 Your tree will need 1-2 litres of water per day, how much depends on how warm your room is – check the water level daily and top up when needed. Hopefully these tips will help you choose a wonderful real Christmas tree for the centrepiece of your festive decorations. We’ll be heading out to choose our tree this weekend, how about you? Both are great options, can’t wait to put ours up at the weekend. If only I had a wall that didn’t have a radiator on free to put one *sobs* great tips! We have the same problem, our trees always drink lots of water!